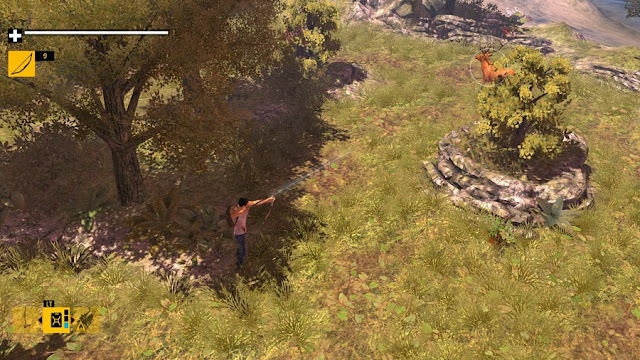 How to Survive is the Playstation’s answer to XBLA’s State of Decay, and though I’ve only played the demo, which had been slowly decomposing on my PS3 for some time, it’s extremely fun. The game, although not overly scary, has a pick-up-and-play vibe attached to it, meaning that you can explore the four zombie-infested islands alone, or with a friend, whenever the mood strikes you. Warning: I played this demo with my girlfriend, and I can assure you that friendly fire is most definitely on. As one of the most recent games to be included in the already bursting selection of zombie games, How to Survive had to break away from the norm and do something a little different. In my mind at least, it succeeds. This third-person top-down affair begins with your chosen character – there are three to choose from, each with their own story and characteristics – being shipwrecked on an island. As if that wasn’t bad enough, the pristine sand of your castaway home is soiled with blood, body parts, and a dying man. Guess that sun-tan will have to wait. Ladies, ladies. There's enough bullets to go around. How I believe this game differs itself from other zombie-games is that it combines fast-paced arcade gameplay with a depth at its core. Sure, you’ll have immense fun running around the colourful, if a little unfriendly, islands taking down the undead with a variety of weapons and finishing moves – which are all satisfying to pull off – but if you don’t pay attention to your character’s needs (health, hunger, thirst, tiredness), then you won’t do it for long. Like I said, How to Survive hides much deeper gameplay under its simple fun exterior – maybe it’s afraid to open itself up because it’s been hurt too many times, I don’t know – but there’s real depth here. 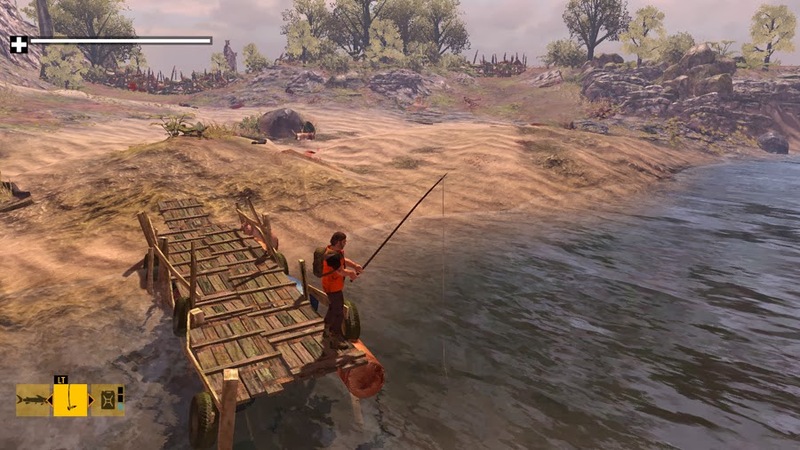 Aside from the needs, which you’ll have to keep in check by drinking water from puddles, hunting and cooking wildlife, and clearing out safe houses so that you can get a nervous night’s rest, there’s also weapon-crafting and skill trees. I have a message for Bambi. An example of weapon-crafting would be combining a stick with a wire to create a bow, and using a machete on smaller sticks to create the arrows. Voila, you can kill zombies from a distance. 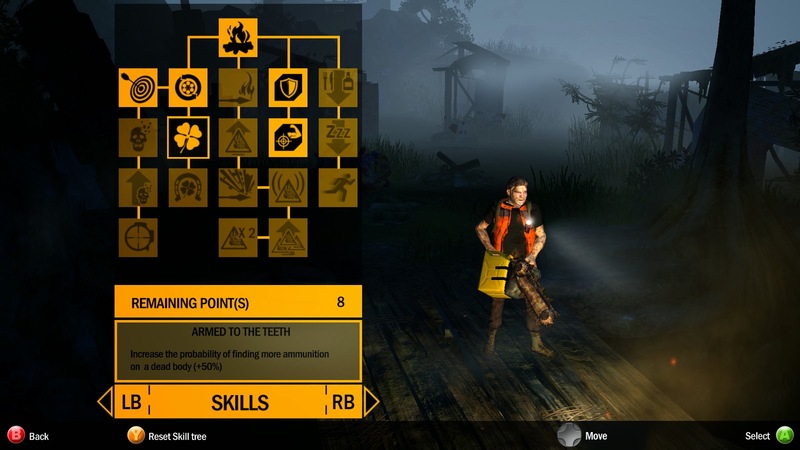 The skill tree, which offers a number of different skull-crushing abilities, also appears to have multiple advantages for survival and exploration. Once I had levelled up and received my first skill point, I learnt to create campfires. 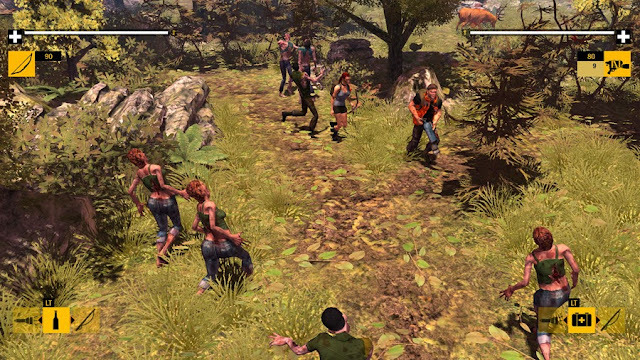 Fire has many different uses in How to Survive, and is a perfect example of the game’s depth. Firstly, it can be used to cook meat, and reduce hunger (and salmonella, I guess), Secondly, it can be used to burn down thick areas of foliage, and therefore open up new areas of the island previously inaccessible. And thirdly, it can keep away the creatures that return each and every night. Wear bright colours, just in case the undead have bad eyesight. Hm? Oh, don’t worry about that. They’re just spindly Gollum-like creatures that scuttle around on all fours, using the darkness to get really, really close. They may just want a hug, but I’d be lying if I said I gave them that chance. What I did do, however, was feel somewhat more edgy than I had felt throughout the entire demo. In a similar fashion to the free-running zombie title, Dying Light, the night completely changes the gameplay. When the sun goes down, this tropical island gets much spookier. The pace slows right down, and you’ll be creeping your way through trying to shine your torch or flame in all directions at once to keep these strange creatures at bay. Along with these night-time beasties, I also encountered a mammoth of a zombie, who exploded on contact, and a massive, I mean massive, zombie that could have ended me with one misplaced step. Luckily, I didn’t have to experience that, as the demo ended there, with my death looking pretty certain. The apocalypse isn't all bad. How to Survive combines fun, fast-paced gameplay with a hidden depth of character needs, skill trees, weapon-crafting and exploration. With 2-player local play, or eight online co-op missions available, there’s no excuse not to drag a friend along for this vacation from hell. Though this game has been criticised for its price tag, as it is meant to be relatively short, it is currently only £5.99 on Steam and for a fun afternoon with another zombie-lover, that sounds like a deal you could just sink your teeth into. Thank you for reading! If you enjoyed this article, it would mean a lot if you’d like and share it, and make sure to subscribe to the blog so that you don’t miss out on the weekly horror games. Feel free to leave a comment, and follow me on Twitter for daily horror news and conversations here. For those that loved the Fatal Frame series, the upcoming Kickstarter-funded indie-horror by Digital Happiness, DreadOut, will be of interest to you. Imagine if the protagonists of Fatal Frame ditched their ancient cameras in favour of a smartphone and you have the basic premise of this Indonesian horror. 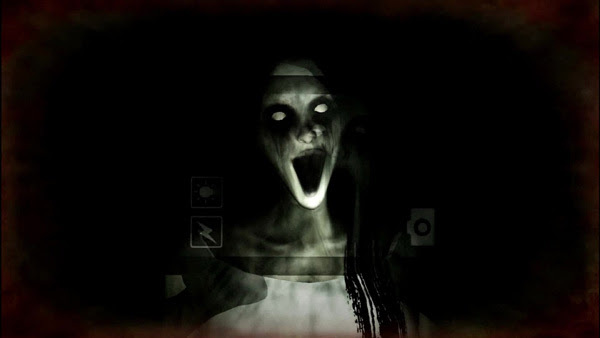 What’s more horrific than a picture of a ghost that can be immediately uploaded to Facebook, Twitter and Snapchat? Well, I can’t tell you, because I was much too scared whilst playing this demo to find a WiFi connection. This third-person scare begins with Linda – an extremely Western name for an Indonesian girl, I thought – being woken by the buzzing of her mobile phone. She’s in the dark, all alone, and can barely see a thing. Seriously, DreadOut is dark. I was already extremely tense by this point. Where was I? Why was I called Linda? And – wait - someone actually wanted to speak to me? Really? Selfies will never be the same. 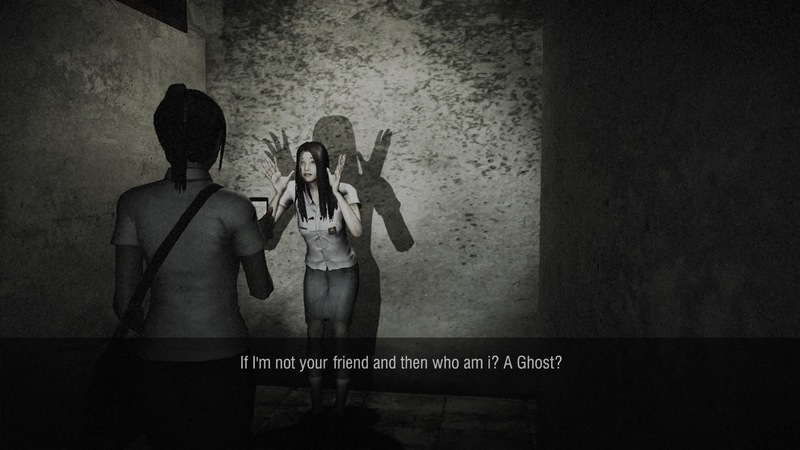 One of the first things I noticed about DreadOut, other than how dark it is, is that the controls feel a little awkward. The sensitivity was set too high, with no way to change it during the demo, and so I settled for the clunky strafing of the lead schoolgirl. 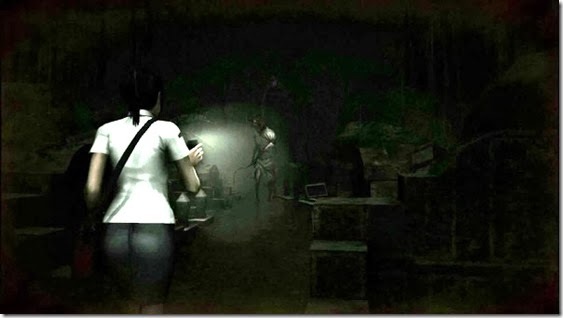 On the bright side, the ineffective manoeuvrability of characters in certain horror series, such as past Resident Evil and Silent Hill games, has been known to actually increase tension – also known as the ‘Oh god, oh god, it’s chasing me and I’m stuck on this wall’ moment - and I could see the same effect being had here. After finding the phone, I answered a call from Ira, Linda’s friend, who told me that ‘they’ were all dying to meet me. Then the phonecall began breaking up, and repeated the phrase “we’re dying” over and over until her face on-screen warped into a grimace of pain and death. Thanks, Ira… I’ll hurry right over. Turns out I needn’t have hurried, as Ira was standing just outside the door; waiting. Thanks Ira - I feel much better. developers have made sure of that. Wherever the hell we are, it’s crawling with ghosts so twisted that they could only have come from terror-inducing Eastern world, and you never know what to expect around each corner. It’s safe to say that the girl from Ringu (The Ring) or Ju-On (The Grudge) would settle in nicely here. What makes the game even more horrifying is that the only way to see any distance in front of you is to look through the camera of the ‘Iris phone’ – I see what you did there Digital Happiness, nice. In the same way that Outlast uses a video camera, DreadOut uses a smart-phone, and it changes the perspective from third to the first-person. You are not only immersed further into the horror, but also feel completely helpless at the times when you do see someone, or something, staring back at you. Fine, I won't upload it to Snapchat, just put the scythe down. The demo ends with something of a boss fight, which I found to be the least enjoyable/scary section of the demo. Switching from tense, corner-hugging fear to a more action-orientated outside area meant that the awkward controls often spelled out my demise. This was somewhat frustrating, and I feel the DreadOut is at its best when jammed into claustrophobic interior spaces. Once this was wrapped up, the demo was over, and Linda woke up yet again, in a minibus and surrounded by her fellow students. She looked across to see Ira smiling back at her; innocent, alive, stupid. The camera zoomed back and the player is left feeling helpless to stop it as the minibus heads towards a small Indonesian village in the distance. Natural beauty is real beauty. 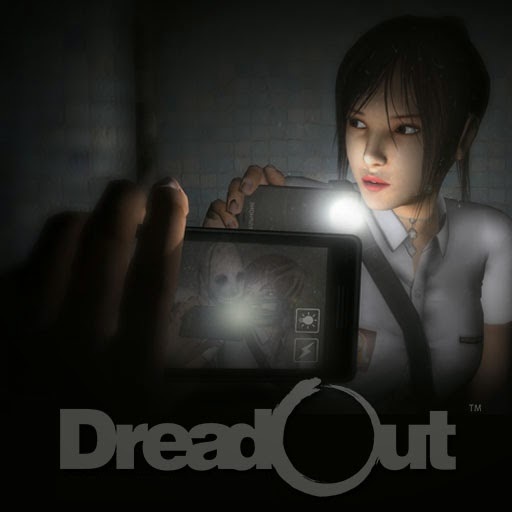 After the short, but altogether twisted, demo, I am definitely looking forward to seeing more of DreadOut, even if it’s just so that I have an excuse to enter into the world of Asian horror, which I have always found to be more terrifying. Despite some awkward movement, which may give a helping hand in your death more than once in any faster-paced sections of the game, the DreadOut demo delivers a chilling snapshot into the potential of Digital Happiness' indie horror. If you think you’re ‘ard enough, check out the website, and try the demo for yourself. Again, thank you, and welcome to Noble Gaming. Here we are for another exclusive Noble Gaming indie-interview! This time I managed to go behind the horror with Chris Bischoff, the developer of Stasis, a point-and-click sci-fi horror. Thanks, Chris! If you're trying to read this before you've seen the Stasis preview, I'm not mad, just disappointed. You can catch up here. My name is Chris Bischoff and I'm a professional 3D artist from South Africa. I have been working on STASIS in my spare time for the past three years. It's no surprise to me that Stasis was recently fully-funded on Kickstarter - congratulations! How does it feel to know that people not only want your game, but are willing to support it? I'm over the moon! I don't think there can be a larger compliment for an artist than this - to know that people are willing to support your artwork. STASIS has been an act of passion for a long time and I think that people appreciate how much love has gone into it. Knowing that there are players across the world who have had a small taste of the STASIS experience - AND have responded positively to - is pretty amazing. When I played the alpha demo, I was surprised at how polished the game seems. Stasis looks and sounds amazing! How long did it take to get to this stage? It's taken me three long years of my free time to get to its current state. The Alpha took about an extra six weeks of polishing to push it up to a stage where I was happy to release it. I honestly would have put another few months of polish into it if I could have. You mention on your Kickstarter page some of the influences of Stasis. What were the main influences, and what did they bring to the table? The largest influence is the film, Alien. Alien changed my perspective on films and has influenced all of my art, not just STASIS. Definitely take some time to watch Alien again. The Dig has too been one of the primary inspirations behind STASIS. They took a serious sci-fi story and successfully wrapped it inside an adventure game. It opened my eyes to the power of the genre, and it's something I hope to emulate with STASIS. What is it that made you want to create a horror sci-fi? I'm just a huge fan. It's that simple. Those are my two favorite genres mixed together. Science Fiction has an incredible way of telling stories that are relevant to society and wrapping them in an accessible way... and horror, well, is just fun! Is there an estimated release date for Stasis? What's your favorite horror series? The Alien series will always hold a very special place in my heart. Anything else you'd like to tell the horror-lovers of Noble Gaming? I can't wait for you to experience the full world of STASIS! For more details on Stasis, head to the Kickstarter. 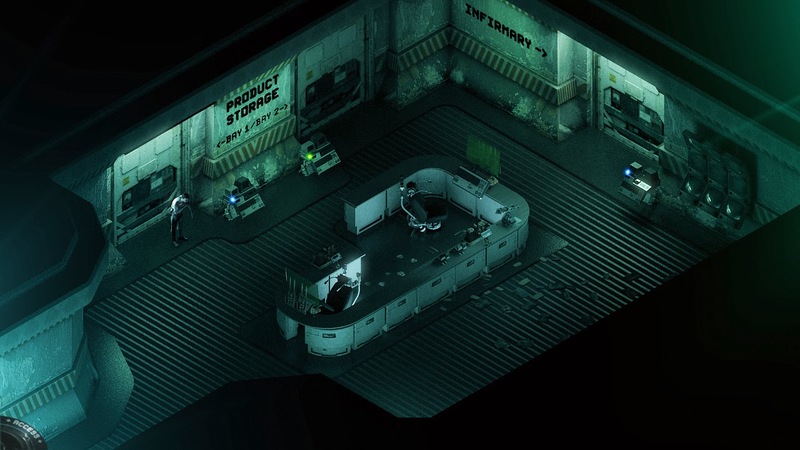 Stasis is an isometric* 2D point-and-click game that combines sci-fi and horror in a way that made me feel as if I’d stepped directly into Ridley Scott’s Alien. Before I even go into the gameplay itself, I have to mention how goddamn beautiful this game is. Seriously. 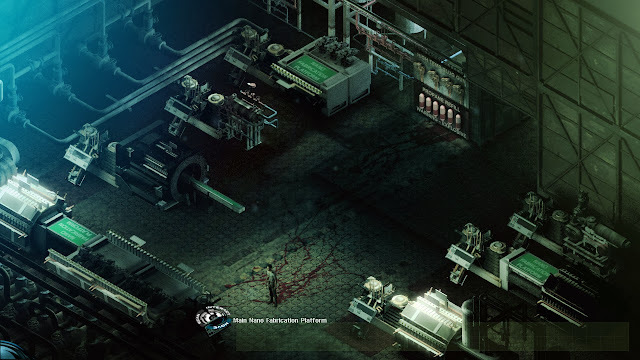 Using impressive lighting, or rather, shading – it is a horror game, after all - and a sleek, futuristic 2D art style, Stasis looks every bit as modern as a game set in the future should. Unfortunately, the better it looks, the more realistic the gore looks, so I hope you’re not squeamish. After I was finished gawping at the style, I took control of John Maracheck, who is rudely awoken when his stasis pod fails, spewing him to the floor in a mess of glass and strange fluids. The last thing he remembers is that he and his family – a wife and daughter – were all together, and now they’re nowhere to be found. There were other stasis pods nearby, but no-one John recognises, and so I left the room worryingly marked ‘Product Storage’. For a while I seemed to be the only one on board the eerily quiet Groomlake, a scientific spacecraft of some kind, and the silence soon had the hairs on the back of my neck standing on end. So much so that each sound the ship around me made, I jumped. A door opened, I jumped. A door closed, I jumped. A robotic voice informed me that I had internal injuries and multiple broken ribs, I jumped – and limped. I almost miss the stasis pod. problem that needed solving, and quickly, were the serious wounds John had sustained from the broken stasis pod. This involved getting power to the diagnostic equipment, which proceeded to supply the medicine and syringe that I would need to survive. Opening my inventory, named the ‘Quantum Storage Device’, I then combined these two items together and stuck the syringe into John’s arm, which seemed to numb the pain. I imagine that a number of puzzles throughout will require such a technique, and I’m certainly happy to be given an excuse to keep using something that sounds as cool as the ‘Quantum Storage Device’. As I further explored the different areas of the vessel, there were numerous computers and digital journals that I accessed in the hope of finding out more about where I was and what I was doing there. The more I read, the more obvious it was that Groomlake was designated to scientific research. Though I couldn’t discern the exact nature of this research, after finding child-sized corpses and a machine designed for “organ harvesting”, I guessed that they weren’t entirely legal, and definitely not humane. I guess the receptionist is on break. You might be thinking that point-and-click isn’t your thing, but if you like Dead Space in any way, you’d like Stasis. From the gore-stained walls and floors of the silent, but far from empty space vessel, to the unexplained events unfolding in front of John Maracheck, a persistent Ishimura-esque vibe can be found here, which is a big plus in my horror-loving books. Not only that, but there’s also a tram and a Dr. Isaac – possibly named after Isaac Clarke, the protagonist of the popular series. From the alpha demo I have begun to understand the kind of polished experience that Stasis has in store for gamers, and believe that Bischoff will take the very best of each of the game’s influences to create something entirely new. It’s been a while since I headed into the dark abyss of space in order to rob myself of sleep, and now that the game has been fully funded on Kickstarter (with 15 hours still to go at the time of this post! ), it looks like that’s exactly what the future holds. Well, that and large, human-harvesting scientists. *In case you were thinking, “Isometric sure is a cool word, but what the hell does it mean?”, like I originally did, it’s defined as: “being equal in dimensions as well as measurements”. It applies to the style of the environment, in which everything appears to occupy the same level of depth... I think. Hm? I made it more confusing? Oh. I managed to get an interview with Agustín Cordes, the co-founder of former studio Nucleosys, whom created the point-and-click horror adventure game, Scratches. I just wanted to thank him again for taking the time to answer my questions, as he is a busy guy. Thanks, Cordes! If you haven't yet read my review and have no idea about the tense African enigma that envelops the Blackwood mansion, what are you doing here? Read it! Tell me a little about yourself, Agustín Cordes. Well, I'm the co-founder of Senscape and I've been in the game industry for about ten years. I happen to be a huge fan of adventure games and feel it's a privilege being able to work in this genre these days. My previous and short-lived company -- Nucleosys -- produced Scratches, a game that has been generally well received but tends to be divisive: some hate it while others are rabid fans. It's safe to say the game has become a cult title which, particularly for me, is the best result I could have hoped for. Ever since played King's Quest that I wanted to make similar games, so my earliest desire to do actual development is around seven or eight years old. It wasn't until I was ten or so that I actually began programming. I remember doing some small and cheap ASCII text adventures with Pascal, and eventually something more fledged out when I was in high school. That was a serviceable graphic adventure called Shipwrecked which unfortunately is lost forever after a 5 1/4 disk went faulty. My first "proper" release, though, was a weird text adventure called Valpurgius and I, shortly after which I began working on Scratches. After becoming involved with the adventure community, I thought I was ready to tackle a bigger and more ambitious project. 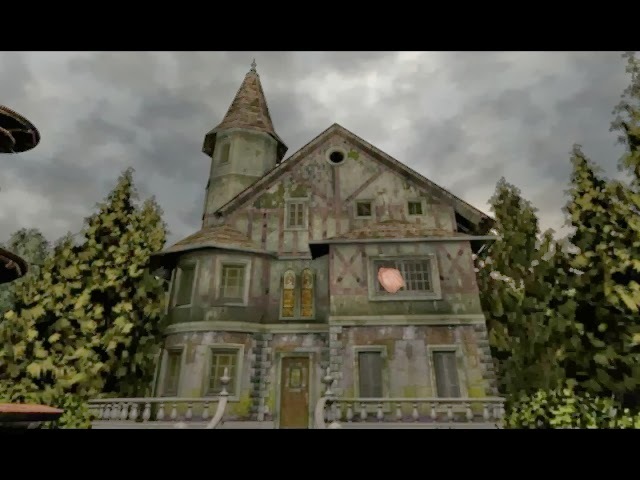 What is it that drew you to horror games? Generally, I was drew to horror since I began reading H. P. Lovecraft, curiously (or perhaps not) also at the age of seven. His moody works and indescribable horrors have stuck with me ever since. Similarly, I was quite devote of horror movies such as Hammer Films, Italian Horror like Fulci or Argento, and of course, Friday the 13th. Pretty much all slasher flicks of the 80's. I like the genre very much, so it's natural that I look for the same dark themes in games. Scratches is one of the most atmospheric games I have played in a while, not only in terms of tension, but also loneliness. How did you set out to achieve these intense emotions? Thank you! I've always asked myself what was that "secret ingredient" that made Scratches such an atmospheric title. On one level the graphics, music, and slow-paced gameplay came together to form this strong atmosphere. But I think that on a deeper lever, the story, slow-burning horror and implied passage of time gave players the impression that they were really spending three days inside Blackwood Manor. In other words, the mix of routine (stumbling into everyday problems, sleeping, etc) and ever growing mystery made players feel attached to the mansion. Some told me they happened to be very sad during The Last Visit, the additional chapter, when they revisited a decaying and vandalized Blackwood Manor. A large part of the narrative revolves around an African curse. Was this completely fictional, or were you influenced by something in real life? It was indeed fictional, and this element wasn't part of the story in the first place. It was added later, as the plot progressed and became more complex. 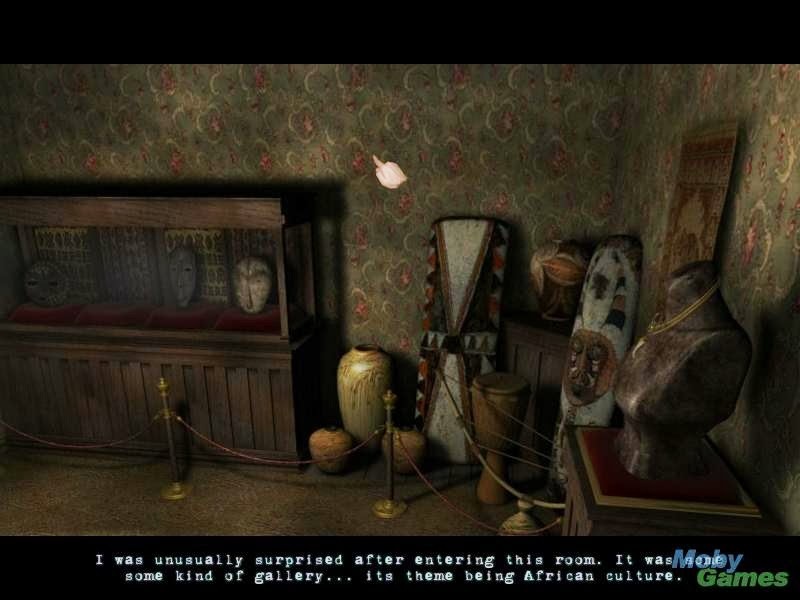 Many sources can be attributed to its inclusion: I was fascinated with African culture myself, which I believe is very mysterious, and it was also present in some Lovecraft's tales. But the major source of inspiration was likely The Ghost and the Darkness, which might sound weird because it isn't horror, but I'm positive it's a movie that left a very lasting impression on me, and the reason why I wanted to explore the theme. The sound design for Scratches – and its successor, Asylum – is nothing short of amazing. How important do you think sound is to horror? Extremely important. In fact, a bad sound design can break games, and especially those that rely on horror. Similarly, a memorable soundtrack has the potential to elevate decent games to classic status. When done right, ambiental sound effects can bring a lot of depth to the scenes, for example when you make the most out of reverb, and also provoke disquieting emotions. The sound of scratches in the middle of the night, growing louder as you went near the source, is another good example. In the case of music we're particularly careful to ensure every track fits with the scenes, and sometimes even colours evoke certain moods and sounds. What do you think point-and-click gameplay brings to a horror game? I think it's perfect; for games likes Scratches and Asylum that have strong doses of slow-burning horror and quick reflexes aren't required, point-and-click is the ideal control scheme. I'd rather have players focusing on the environments and the component of exploration rather than fiddling with the controls. I like most type of horror subgenres, really, but psychological horror is my preferred one, and adventures happen to be the ideal vehicle for it, as they allow players to focus on the story and atmosphere. What did you learn when making Scratches that has influenced the development of your next indie-horror, Asylum? Quite a lot. Scratches was a flawed game in some ways. It did things wrong just as it did things right; for example, the first day was excruciatingly slow and badly designed, forcing players to visit locations and do certain actions in specific orders. Things did take flight in the second day with a better approach, but that first chapter was the nail in the coffin for many players. Similarly, puzzles were unforgiving and somewhat obscure in some cases, although always logical and down to earth. Asylum will be much more dynamic in its first moments, and a bit friendlier for players, but still a challenging and slow-paced experience like the one many fans of Scratches loved. Do you have a favourite horror series? In the realm of games, Alone in the Dark and Dark Fall are series I have enjoyed a lot. Though not specifically horror, I'm also a great fan of Gabriel Knight. In the case of movies, Friday the 13th is hands down my favorite series, with Evil Dead closely trailing behind. Anything else you'd like to tell lovers of horror? Yes, LONG LIVE THE NEW FLESH! Also, that everybody at Senscape is extremely grateful for your support and patience while you're waiting for Asylum. Believe me when I tell you, the wait will be more than worth it! Want to know a little more about Senscape's upcoming point-and-click horror, Asylum? Check out my thoughts on the demo here. Scratches is the cursed child of Nucleosys, an indie-studio that lives on through the horror-adventure found in Blackwood Mansion. As you point and click your way through the halls of this house, get ready to become acquainted with a suffocating atmosphere, tension and a collection of mysterious, unnerving African artefacts. 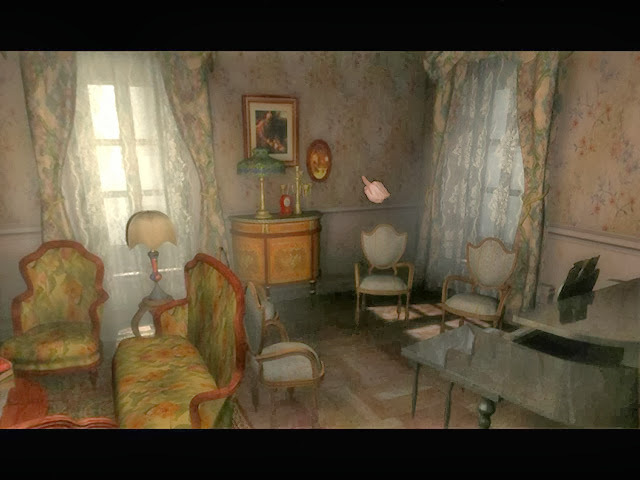 The game opens with a cut-scene that immediately builds mystery around the grand estate of Blackwood, an infamous location in dreary Northumberland. Credits are dotted around the screen as a selection of black and white photographs drift across. Who took these pictures? Why do they make me feel so uneasy? These are all questions that will be answered, but you’ll soon miss your blissful ignorance. It’s moving day for the protagonist, Michael Arthate, who has decided to remove himself from any distractions so that he can finish the much-anticipated sequel to his first novel. That’s right, Michael is a writer; of horror, no less. In fact, early on in the game he says, “The books in the room were rather boring. No horror novels… unbelievable!” - I liked him already. From the minute I parked outside the mansion, I was immersed in the narrative of the game. Scratches boasts a palpable atmosphere that you can’t help but be sucked into, and it achieves this in a number of ways. For me, the key aspects of this atmosphere were sound, detail and mystery. Hats off to the sound design team at Nucleosys, because every sound played a part in pulling me further into the experience. The gusts of wind outside contrasted so drastically with the beautifully sombre music inside that I always felt on edge as I searched the grounds around the house. Or, when exploring the hallway, the never-ending ticking of the clock seemed to highlight the fact that I was the only one here, and at times I felt a pang of loneliness. This is a powerful emotion, and it was amazing that Scratches managed to evoke it so strongly. Another sound, which you’d expect, is scratching. The less I say about this the better, as I’ve already lost enough sleep, both in-game and out, to this disturbance. I’d love to blame it on Blackwood’s rat problem, but life is just never that easy. I almost soiled myself when I saw this. In addition to great sound, Scratches excels in the little details. Each room, drawer and chest is full of interesting things to read or admire, and each object adds to the mysterious, and personal, lives of the people who have lived in the Blackwood mansion. Instead of just being told about the protagonist and the people involved in this unwinding narrative, you are shown. After unpacking Michael’s suitcase in his new room, I learnt about his profession, previous novel, real estate agent and assistant, and it also made me feel as if I was moving into a new house myself. If it hadn’t been for finding the journal of previous owner, James Blackwood, downstairs, detailing a rather eventful – disturbing - period of time spent in Africa, I might have been excited. After you’ve spent your first day getting settled into the house, dealing with everyday problems like lighting, unpacking and sorting through items, the mystery really begins. As you progress, you discover that there was much more going on at Blackwood than anyone knew about. It all revolves around an ancient African tribe which Mr. Blackwood became obsessed with during a construction job abroad. When James returned to England, he didn’t come back alone. He brought a little souvenir back with him, and as an added bonus, a good ol’ curse, too. 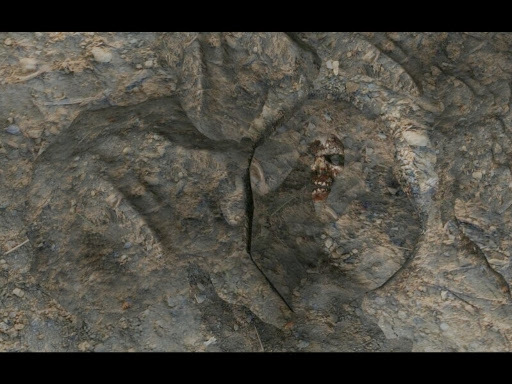 I won’t tell you anymore about it, as uncovering this mystery is part of the game’s charm. What a beautiful collection of horrifying African masks. Getting to the roots of this mystery means solving the different puzzles that you find around the manor, but this is no easy task. I often found myself wondering around the house not knowing what to do next. Even if I had a vague idea of what I needed to do, such as pushing a key out of a lock to gain access to a room, I’d have no idea what tool was required, or where to find it. This meant that sometimes my atmospheric immersion gave way to frustration, which was a real shame – did I mention how great the atmosphere is? Scratches was at its most enjoyable when I felt like I was progressing without too much frustration or confusion, which didn’t happen often. Now and then Michael would offer a hint like, “I should probably go to bed”, which felt like a natural way of directing my actions and progressing the narrative, but these were far and few between. A ‘hint’ button would have been nice, just for those moments when I felt completely unsure of what to do next. The living room; where you'll go to relax after a long, sleepless night. Scratches is not perfect. Some puzzles can be extremely hard, and I know I wouldn’t have been able to finish it without the help of a walkthrough. Don’t judge me – I had a review to write. Having said that, even if a walkthrough is needed to progress, progress you should. Senscape has created a deep, engaging mystery that is a pleasure to delve into, with atmosphere and sound design that AAA studios couldn’t match. Well, maybe they could, but they rarely do. Though scares don’t come often, as Scratches favours a slow build of tension, when they do, they’re just plain cruel. I had only been in Blackwood Manor for three days, but by the time I packed up my belongings and ran for the hills, I had been frustrated, absorbed, lonely, terrified and also spent some time thinking about whether I ever actually wanted to live alone. If I do, I sure won’t be bringing back any souvenirs from other countries – especially, not if I have to sneak into the middle of a vicious sacrifice to acquire it. In fact, I’ll just stick to Ikea; the most dangerous thing there is the meatballs.